Dr. Sarita is the DIRECTOR, is a Physician, Palliative Care and Pain Management Service, and CLINICAL COORDINATOR, Dept of Med Kingsbrook Jewish Medical Center. She is specifically involved with training the medical students, medical residents and research activities in the institution. A senior member of the faculty and certified instructor of yoga and meditation at the Art of Living Foundation and the International Association for Human Values, she has been teaching stress management and self-development programs to health care professionals, patients, hospital administrators and corporate leaders for more than 15 years. 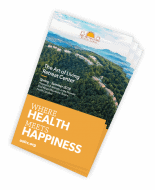 Dr. Patel is the Co-Founder of Living Well Programs offered by the Art of Living Foundation. The programs teach effective mind-body resilience techniques supported by evidence-based research that addresses health care professionals burn out and help improve their personal and professional performance. She travels and conducts Living Well programs all over the country. Dr. Patel has spoken on “Spirituality and Health” and such related topics in various health care institutions, government organizations and other corporation including IBM. Dr. Patel is also a certified Ayurveda health counselor.